Time to ditch the slow, inaccurate, Quarterly Board Report. Need an up to date holistic view of the business? Performance PORTAL by InPhase gives you an instant, intuitive, out of the box, real-time dashboard for your business from Financial Stability to Customer Engagement. Anywhere, on any device, your teams see real time secure performance instantaneously. Alternatively, publish data to the web and have it be discoverable by all interested parties, even the public if desired! Share your information with the world as an open data PORTAL. Give large external audiences access to your performance information in minutes, via a drag and drop interface. Brilliant data visualization and reporting enables easier interpretation and understanding of performance through charts, graphs and table views. Give insights into your performance to the public, or key stakeholder groups, at any level of granularity. Built in reveal gets you to the critical information simply and quickly. From Plan to Measure in seconds. Connect to real time data from your business and view it from anywhere in the world, at any time. Know the current state of play and get alerted to issues in performance quickly and easily. Critical performance information. Anyone, anytime, anywhere. The business story for everyone: From the comparison of business unit performance to real time narrative and feedback, the Performance PORTAL from InPhase provides background context for the data, as well as the ability to explain conclusions and next steps. Sharing strategy information accelerates analytics adoption and increase business value quickly and easily. 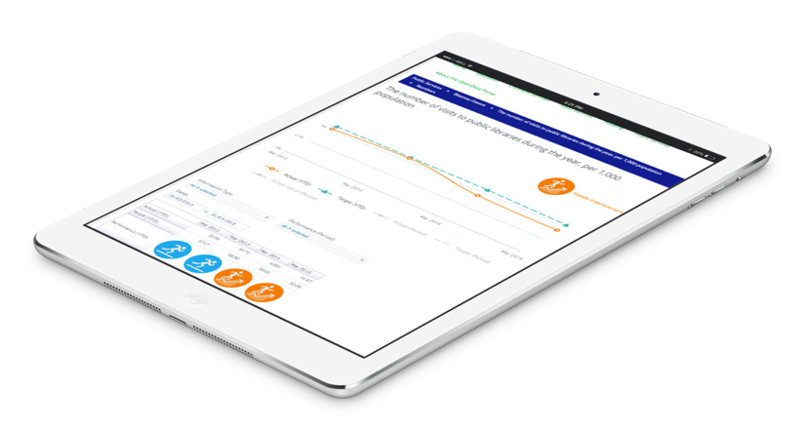 Built from the ground up to be responsive on mobile, the InPhase Performance PORTAL is THE easy-to-use, simple dashboard that anyone from aged 5 – 105 can use. With fantastic self-service features, deployable on web, desktop, tablet, or smartphone you can get insights every minute, in real-time. Having up–to–date, subjective and quantifiable knowledge can be the difference between a timely decision and a missed opportunity. Building a portal has never been easier. Out of the box configuration designed for PA’s, Graduate Trainees, and even SMT to build. Set up a trial today and have a go yourself. Huddle your SMT and decision makers around the metrics, outcomes and projects that matter. Get to the detail and subjective information from business operations when it’s needed. 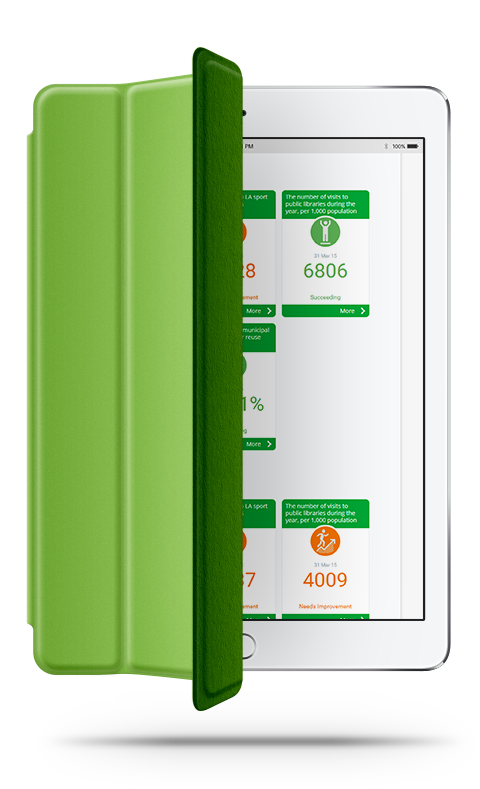 Enable residents, public stakeholder groups or any other vested party to hear all about your performance story – the way you want to tell it. Hook up multiple data sources to your PORTAL. Seamless data access, wherever you are. Manual collection of data from key teams around the business, or connect to data direct from systems.